Princess Alice of the United Kingdom was bornon April 25, 1843 in Buckingham Palace, London, United Kingdom, British, is Princess of the United Kingdom. 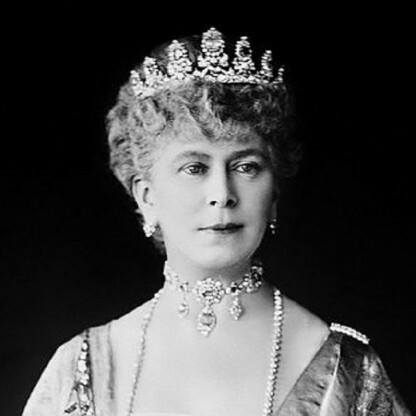 Alice Maud Mary of the Royal House of Saxe-Coburg and Gotha was a Princess of the United Kingdom, and later through marriage, the Princess and the Grand Duchess of Hesse and By Rhine. The second daughter and third child of Queen Victoria and Albert, Prince Consort, Alice is remembered as a prolific advocate of women’s causes and for her tireless efforts to provide healthcare during Austro-Prussian War. She grew up travelling between several British royal residences along with her parents and siblings. She was taught English, French and German, and practical skills like needlework, cooking, gardening, and carpentry. When her father fell ill with typhoid fever in 1861, Alice took care of him until his death. Following this, with her mother having entered a period of intense mourning, Alice acted as the Queen’s unofficial secretary. At the age of 19, she married Prince Louis of Hesse, a minor German royal and the nephew of the Grand Duke of Hesse. Her married life in Darmstadt was quite disconsolate, filled with hardships, family tragedies, and the gradual degradation of relations with her mother and husband. Upon the crowning of her husband in 1877, Alice became the Grand Duchess. In 1878, an outbreak of diphtheria hit the Hessian court and the ducal family was affected. Alice nursed her children before falling victim to the disease herself. Already nearly a fortnight since our dear Alice has left and strange to say – much as she has been to me – and dear and precious as a comfort and an assistance, I hardly miss her at all, or felt her going – so utterly alone am I – by that one dreadful loss – that one thought, that everything passed by unheeded! Alice developed a friendship with the theologian David Friedrich Strauss. 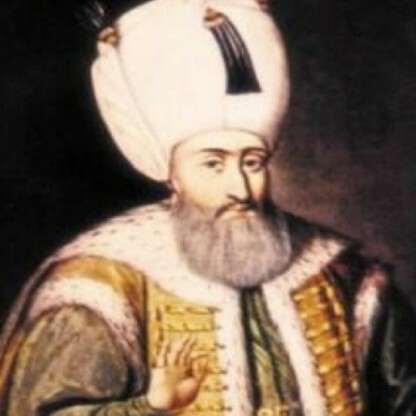 He was a controversial figure at the time; in 1835, he published The Life of Jesus, which argued that the miracles of Jesus were nonfactual myths and that the Bible could not be literally interpreted as God&apos;s word, a view akin to heresy in orthodox circles. Alice&apos;s view was similar to Strauss&apos;s, and she believed that contemporary Victorian society was presenting God in a way that would be "unrecognisable to early Christians". Strauss also offered Alice an intellectual companionship that her husband was not equipped to provide, and he was regularly invited to the New Palace to read to Alice privately. The friendship flourished; Strauss was introduced to Alice&apos;s sister Victoria and her brother-in-law Frederick, and he was invited by them to Berlin. In 1870, Strauss wanted to dedicate his new work Lectures on Voltaire to Alice, but he was too afraid to ask her; she spared him the need by asking him to dedicate them to her. However, Alice&apos;s relationship with Strauss angered Empress Augusta, who labelled Alice a "complete atheist" after hearing about his promotion. Alice was born on 25 April 1843 at Buckingham Palace in London. She was the second daughter and third child of Queen Victoria, and her husband Prince Albert of Saxe-Coburg and Gotha. 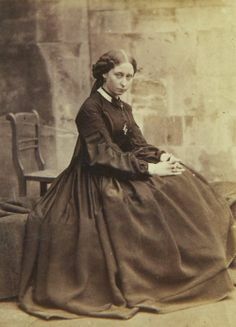 She was christened "Alice Maud Mary" in the private chapel at Buckingham Palace by The Archbishop of Canterbury, william Howley, on 2 June 1843. She was named "Alice" to honour Victoria&apos;s first Prime Minister, Lord Melbourne, who had once commented that the name "Alice" was his favourite female name. "Maud", the Anglo-Saxon name for Matilda, was chosen in honour of one of Alice&apos;s godparents, Princess Sophia Matilda of Gloucester, a niece of King George III. "Mary" was chosen because Alice was born on the same day as her maternal great-aunt, the Duchess of Gloucester. 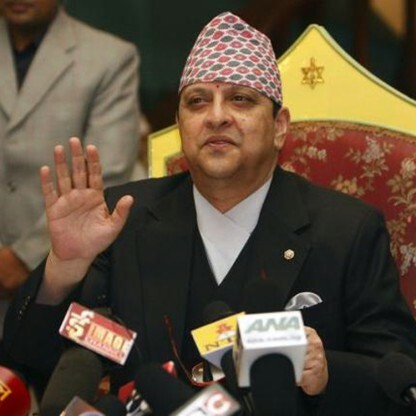 Her gender was greeted with mixed feelings from the public, and even the Privy Council sent a message to Albert expressing its "congratulation and condolence" on the birth of a second daughter. Her godparents were the King of Hanover, for whom the Duke of Cambridge stood proxy; the Princess of Hohenlohe-Langenburg, for whom the Duchess of Kent stood proxy; the Hereditary Prince of Saxe-Coburg and Gotha, for whom the Hereditary Grand Duke of Mecklenburg-Strelitz stood proxy; and Princess Sophia Matilda of Gloucester. Alice&apos;s birth prompted her parents to find a larger family home. Buckingham Palace was not equipped with the private apartments that Victoria&apos;s growing family needed, including suitable nurseries. Therefore, in 1844, Victoria and Albert purchased Osborne House on the Isle of Wight as a family holiday home. Alice&apos;s education was devised by her father and his close friend, Baron Stockmar. At Osborne, Alice and her siblings were taught practical skills such as housekeeping, cooking, gardening and carpentry, as well as daily lessons in English, French and German. Victoria and Albert favoured a monarchy based on family values; Alice and her siblings, who wore middle class clothing on a daily basis, slept in sparsely furnished bedrooms with little heating. Alice was fascinated with the world outside the Royal Household; at Balmoral, where she seemed happiest, she visited the tenants living and working on the estate. On one occasion, she escaped from her governess at the chapel at Windsor Castle and sat in a public pew, so she could better understand people who were not strict adherents to royal protocol. In 1854, during the Crimean War, the eleven-year-old Alice toured London hospitals for wounded Soldiers with her mother and her eldest sister. She was the most emotionally sensitive of her siblings and was sympathetic to other people&apos;s burdens, possessing a sharp tongue and an easily triggered temper. In her childhood, Alice formed a close relationship with her brother, the Prince of Wales, and her eldest sister, The Princess Royal. Victoria&apos;s marriage to Prince Frederick of Prussia in 1858 greatly upset her. In 1858, Alice and the three younger of her sisters were granted use of the royal arms, with an inescutcheon of the shield of Saxony, representing her father. The shield is differenced by a label argent of three points, demonstrating that she is the child of a monarch; the outer points bore an ermine spot each, and the centre bore a rose gules, to differentiate her from other members of the royal family. With both of the leading candidates now discounted, Princess Victoria suggested Prince Louis of Hesse, a minor German royal, the nephew of the Grand Duke of Hesse. Princess Victoria had gone to the court of Hesse to inspect Louis&apos;s sister, Princess Anna, as a potential bride for her brother, the Prince of Wales. Although not favorably impressed with Princess Anna, she was impressed with Louis and his brother Prince Henry. Both were invited to Windsor Castle in 1860, ostensibly so they could watch the Ascot Races in the company of the royal family, but in reality, the visit was a chance for the Queen to inspect her potential son-in-law. 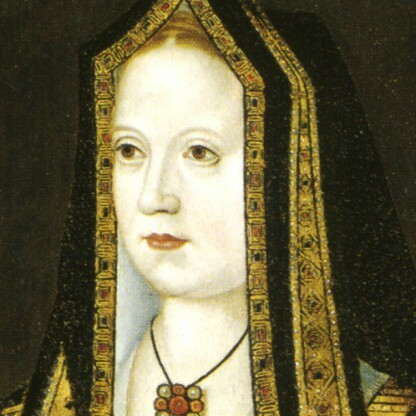 The Queen admired both Louis and Henry, but noted how well Louis and Alice got along together. When the Hessian family departed, Louis requested Alice&apos;s photograph, and Alice made it clear that she was attracted to him. Between the engagement and the wedding, Alice&apos;s father Prince Albert died on 14 December 1861. Despite the Queen&apos;s grief, she ordered that the wedding should continue as planned. On 1 July 1862, Alice and Louis were married privately in the dining room of Osborne House, which was converted into a temporary chapel. The Queen was ushered in by her four sons, acting as a living screen blocking her from view, and took her place in an armchair near the altar. Alice was given away by her uncle, Albert&apos;s brother Ernest II, Duke of Saxe-Coburg and Gotha, and was flanked by four bridesmaids: her younger sisters, Princesses Helena, Louise and Beatrice, as well as Louis&apos;s sister Princess Anna. 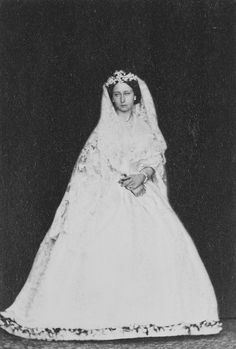 For the ceremony, Alice wore a white dress with a veil of Honiton lace, but was required to wear black mourning clothes before and after the ceremony. The Queen, sitting in an armchair, struggled to hold back her tears, and was shielded from view by the Prince of Wales and Prince Alfred, her second son, who cried throughout the Service. The weather at Osborne was dreary, with winds blowing up from the Channel. 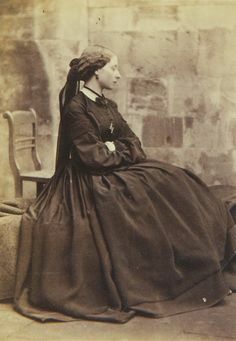 The Queen wrote to her eldest daughter, Victoria, that the ceremony was "more of a funeral than a wedding", and remarked to Alfred, Lord Tennyson that it was "the saddest day I can remember". 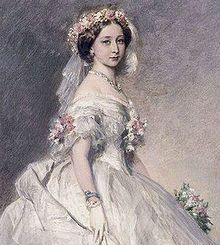 The Queen gave her daughter a gold, Diamond and pearl bracelet, inscribed as a gift from both parents To dear Alice from her loving parents Albert and Victoria R who though visibly parted are ever united, April 25, 1863. 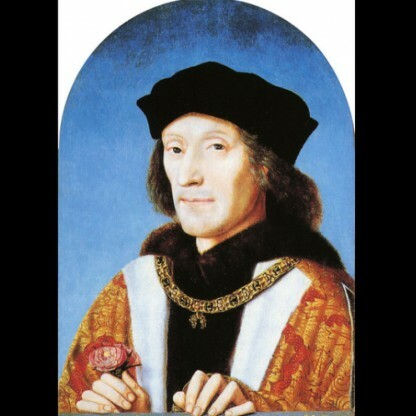 The ceremony—described by Gerard Noel as "the saddest royal wedding in modern times"—was over by 4 pm, and the couple set off for their honeymoon at St Claire in Ryde, a house lent to them by the Vernon Harcourt family. Alice&apos;s entourage consisted of Lady Churchill, General Seymour and Baron Westerweller (a Hessian courtier). Alice was careful not to displease the Queen after her marriage. When the Queen visited the couple at St Claire, Alice tried not to appear "too happy". Despite this, Alice&apos;s displays of romantic bliss made the Queen jealous of her daughter&apos;s happiness. 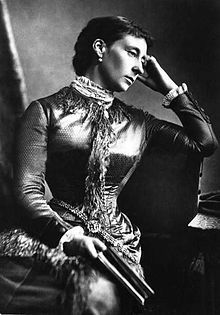 In 1863, she travelled to England for the marriage of her brother, the Prince of Wales, and Princess Alexandra of Denmark; Alice delivered her first child, Victoria Alberta Elisabeth Mathilde Marie, on 5 April in the presence of Queen Victoria. The Darmstadt court chaplain was called over to England especially for the christening. 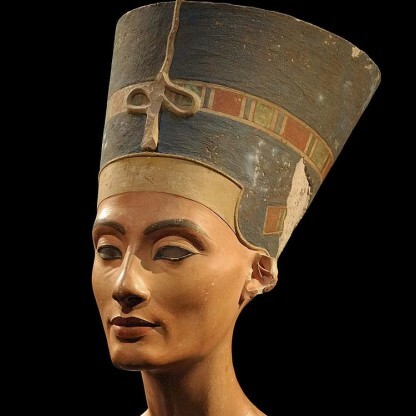 Alice&apos;s relationship with her mother became difficult, which would continue until her death. After returning to Darmstadt in May, Alice and Louis were given a new residence, Kranichstein, north-east of Darmstadt. Alice gave birth to her second daughter Elisabeth, nicknamed "Ella", on 1 November 1864; Alice&apos;s decision to breastfeed her newborn daughter upset her mother, who was against breastfeeding. The Queen was further upset at the realisation that Alice, having found true happiness, would be visiting England less and less. In 1866, Austria called for Prussia to hand over administration of Schleswig-Holstein, which had until that point been jointly administered by the two powers, to the Duke of Augustenberg. Prussia refused, and Otto von Bismarck sent troops into Austrian-administered Holstein. This provoked war between Austria and Prussia, with Hesse siding with the Austrians, technically making Alice and her sister Victoria enemies. Alice founded the Alice-Hospital in Darmstadt in 1869, to treat the city&apos;s sick and wounded. 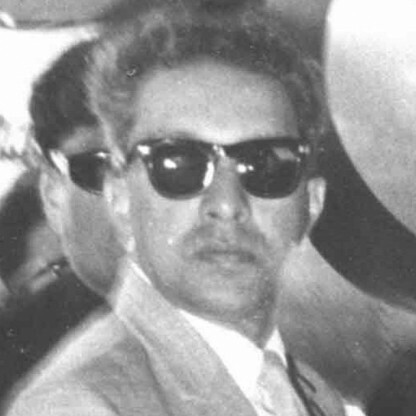 The organisation continued to flourish long after Alice&apos;s death, and in 1953, her grandson Louis, Earl Mountbatten of Burma gave a lecture on the hospital. He spoke highly of Alice, saying "[for her] the point of departure always remained a human being who was ill and needed help, and his needs in war and peace. 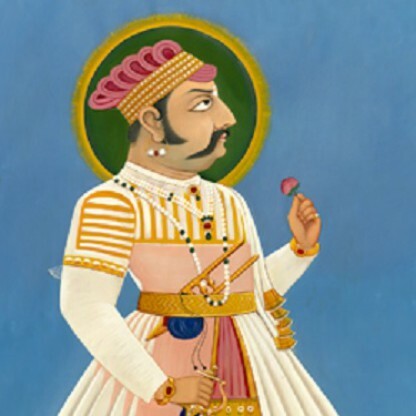 At his side stood the person willing to give help, wishing to ameliorate his needs and for this purpose could make use of an organisation which was becoming more and more streamlined." Among Alice&apos;s other establishments were the Alice Society for Women&apos;s Training and Industry, for the purpose of educating women, and the Princess Alice Women&apos;s Guild, an organisation devoted to training Nurses. These organisations were especially active and important during the Austro-Prussian war, but the time Alice dedicated to them annoyed her husband, who saw them as consuming his wife&apos;s time at his expense. Alice was a prolific patron of women&apos;s causes and showed an interest in nursing, especially the work of Florence Nightingale. When Hesse became involved in the Austro-Prussian War, Darmstadt filled with the injured; the heavily pregnant Alice devoted a lot of her time to the management of field hospitals. One of her organisations, the Princess Alice Women&apos;s Guild, took over much of the day-to-day running of the state&apos;s military hospitals. As a result of this activity, Queen Victoria became concerned about Alice&apos;s directness about medical and, in particular, gynaecological, matters. In 1871, she wrote to Alice&apos;s younger sister, Princess Louise, who had recently married: "Don&apos;t let Alice pump you. Be very silent and cautious about your &apos;interior&apos;". 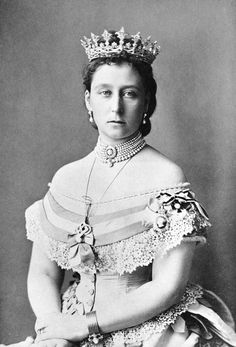 In 1877, Alice became Grand Duchess upon the accession of her husband, her increased duties putting further strains on her health. In late 1878, diphtheria infected the Hessian court. Alice nursed her family for over a month before falling ill herself, dying late that year. Tragedy befell Alice on 29 May 1873, when her youngest and favourite son, Friedrich, called "Frittie", died after falling 20 feet from a window. The child suffered from haemophilia, and although he regained consciousness, the internal bleeding could not be stopped. Alice never recovered from Frittie&apos;s death, writing to her mother two months later: "I am glad you have a little coloured picture of my darling. I feel lower and sadder than ever and miss him so much, so continually." However, the Queen&apos;s attention was more focused on the engagement of her son Prince Alfred to the Grand Duchess Marie Alexandrovna of Russia, the only surviving daughter of Tsar Alexander II and his first wife, Empress Marie Alexandrovna. The Tsar had refused to present his daughter for pre-marriage inspection in England, and instead invited the Queen to meet the family in Germany. Alice supported this suggestion, and on the same day she wrote to the Queen about how much she missed Frittie, the Queen wrote to Alice in scathing terms: "You have entirely taken the Russian side, and I do not think, dear child, that you should tell me...what I ought to do." While she tried to involve herself in the arts and sciences and distance herself from society protocols, she continued to feel the burden of her duties. 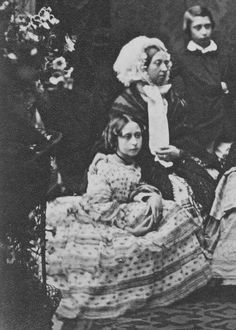 Christmas 1877 provided respite for Alice, as all the family gathered together again, and she doted on her youngest daughters Alix and Marie. She was too exhausted to attend the wedding of her niece, Princess Charlotte of Prussia, in Berlin, in January 1878. In the Autumn of 1878, Queen Victoria paid for the Grand Ducal family to holiday in Eastbourne, where they stayed in a house on the Grand Parade. 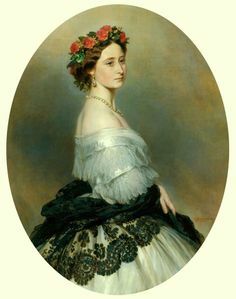 Alice performed various royal duties on this trip and visited her mother at Osborne before returning to the New Palace at Darmstadt in late 1878. Marie became seriously ill on 15 November, and Alice was called to her bedside, but by the time she arrived, Marie had choked to death. A distraught Alice wrote to Queen Victoria that the "pain is beyond words". Alice kept the news of Marie&apos;s death secret from her children for several weeks, but she finally told Ernest in early December. His reaction was even worse than she had anticipated; at first he refused to believe it. As he sat up crying, Alice broke her rule about physical contact with the ill and gave him a kiss. 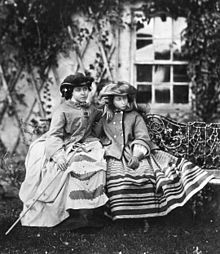 At first, however, Alice did not fall ill. She met her sister Victoria as the latter was passing through Darmstadt on the way to England, and wrote to her mother with "a hint of resumed cheerfulness" on the same day. However, by Saturday, 14 December, the anniversary of her father&apos;s death, she became seriously ill with the diphtheria caught from her son. Her last words were "dear Papa", and she fell unconscious at 2:30 am. Just after 8:30 am, she died. 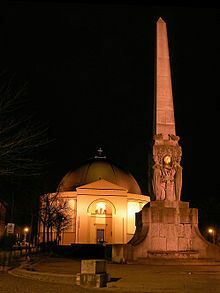 Alice was buried on 18 December 1878 at the Grand Ducal mausoleum at Rosenhöhe outside Darmstadt, with the Union Flag draped over her coffin. A special monument of Alice and her daughter Marie was erected there by Joseph Boehm. 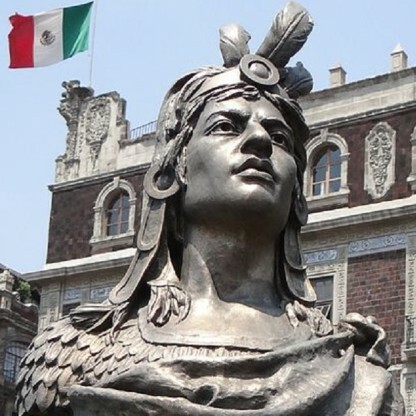 Alice&apos;s descendants went on to play significant roles in world history. Her fourth daughter, Alix, married Tsar Nicholas II of Russia, passing her mother&apos;s gene for haemophilia on to her only son, the Tsarevich Alexei. Alix, her husband, and her children were killed by the Bolsheviks in the city of Ekaterinburg in the summer of 1918, sixteen months after the February Revolution forced Nicholas to abdicate. Alice&apos;s second daughter, Elizabeth, who had married Grand Duke Sergei Alexandrovich of Russia, and had become a nun after his assassination in 1905, met a similar fate, being killed by the Bolsheviks the day after the former tsar and tsaritsa. Louis Mountbatten, son of Alice&apos;s eldest daughter, Victoria, was the last Viceroy of India. He was assassinated by the IRA in 1979. Prince Philip of Greece and Denmark, her great-grandson through Victoria&apos;s daughter Princess Alice of Battenberg, married Elizabeth II of the United Kingdom.